What’s the best thing to do for an awesome culinary instructor who loves Whole 30, teaches cooking classes all over Houston, and is inspiring families everywhere to make a weeknight meal plan? 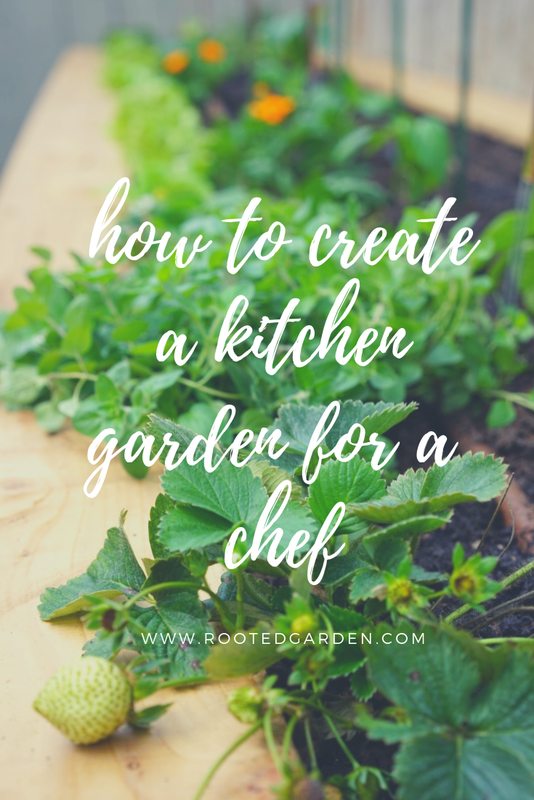 Create a kitchen garden, obviously. I first met Marcia Smart with Smart in the Kitchen more than two years ago and was so inspired to find a working mom whose passion was to get the family around the table on weeknights with wholesome but simple dinners. While I’m great at planning a garden, I’m not so great at planning my own family’s meals. So, I may just need Marcia more than she needs me. Marcia’s beautiful landscape was already quite full with a gorgeous pool and bordered with ornamental bushes. But, we were able to find plenty of space for the vegetable garden in this small gated area. The gates give the kitchen garden a hidden away feel so Marcia can enjoy a little escape from the hustle of running her business and managing a busy home of three growing kids (and the cutest puppy ever). With the long and narrow layout, we were still able to fit in over 50 square feet of vegetable garden space with our huge custom cedar gardens. The layout provides room for Marcia to harvest a little each day or larger amounts once a week or so. Marcia creates weeknight meals that are as simple as possible while still using delicious and fresh ingredients. So, the kitchen garden is a perfect match for her recipes. We’ve filled the garden with loads of perennial herbs like Oregano, Chives, and Thyme that she can harvest pretty much year-round. Then, in the warmer months, we fill the garden with loads of fresh Basil and in the cooler months, she’s got plenty of Parsley and Cilantro for her classic dishes (and her delicious Chimichurri). 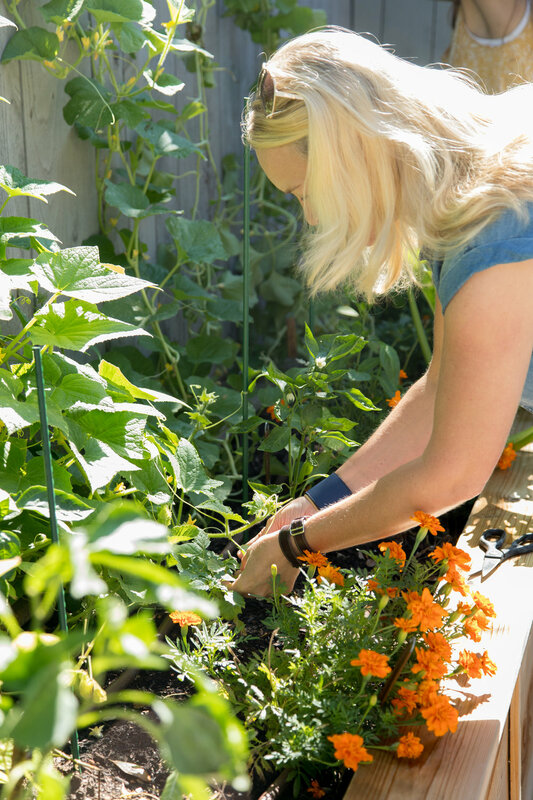 Because Houston’s vegetable garden is pretty much non-stop, Marcia has a steady supply of sweet greens, kale, and more in the cooler months and overflowing amount of hot peppers and basil in the warmer ones. And the herbs? They just don’t quit. As the foodie movement has grown, a key aspect that’s often missing is the source ingredients of each dish. Alice Waters talks so much about this. And Marcia Smart gets it too. Great dishes that are simple to prepare and taste as good as they look have to be made with fresh and seasonal ingredients. We’re pretty sure that every Culinary Instructor needs their own kitchen garden and we’re so thankful we got to design one for Marcia Smart.